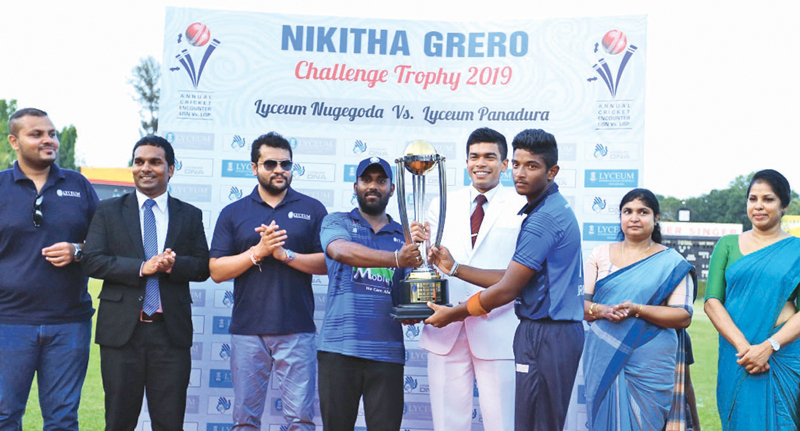 Lyceum International School, Nugegoda excelled as champions at the fourth annual cricket big match with Lyceum International School Panadura that was held at the P. Saravanamuththu Stadium in Colombo. 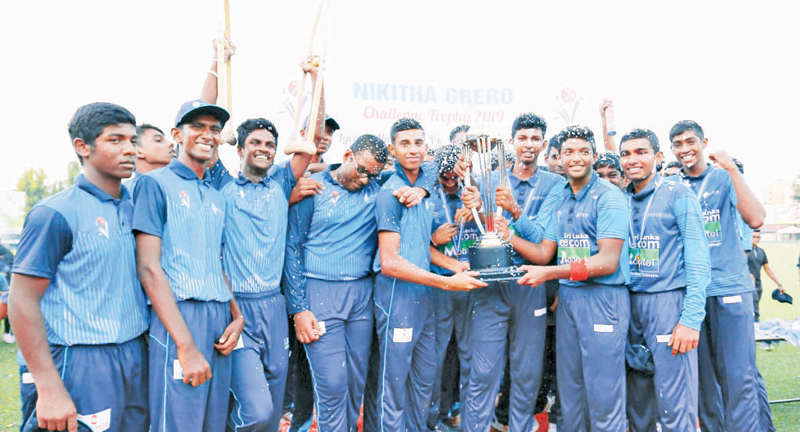 There was plenty of excitement in the air as the two teams competed for the Nikitha Grero Challenge Trophy where Lyceum Nugegoda became champions for the third consecutive year. The Lyceum Nugegoda team led by Team Captain Senura Fonseka won by 48 runs and scored 263 for 47.3 overs with 8 wickets in a fantastic performance on the cricket pitch when they won by 48 runs. Among the outstanding achievements, Pasindu Rajapaksha secured both the titles of Best Batsman and Man of the Match by impressively scoring 100 runs for 92 balls. The Best Bowler award went to Lakindu Sachin who managed to get 3 wickets in 9 overs. With highly commendable efforts while competing for victory, the team from Lyceum Panadura led by Team Captain Devin Rodrigo scored 215 for 50 overs and 8 wickets, with Isuru Perera being awarded as the Best Fielder. Last year's match saw Lyceum Nugegoda claiming victory by scoring 197 for 22.1 overs, while Lyceum Panadura scored 196 for 42.3 overs. This year was no exception when both teams performed at their best, where players and spectators alike enjoyed a fascinating game of cricket. Following the immense success of earlier matches, eager cricket fans can expect an enthralling experience in the future. The next annual cricket match will be a triangular series with Lyceum Wattala being part of the encounter, and this will mark a change in Sri Lanka’s big match history.